Mail armour...where to find it? On the guide there is plate + scale armour, but no mention of mail, with exception of boots. Yet I've received Steel Mail Arm Armour as a reward after battle. So is it a recepie you get the ability to make it from? Re: Mail armour...where to find it? You can find "armor" recipes in Forging, Tanning and Sewing. Where abouts can I do mail weaving or which structure would I need to build to do it? You just need to learn the recipes. You can buy "recipe: mail legs/arms/chest/camail" in Bolgatur. They are also discoverable (but you need at least one of them to crat and discover the others). Seems that gloves are only discoverable. Game guide -> Sewing -> Mail weaving. Last column : discoverable yes/no. 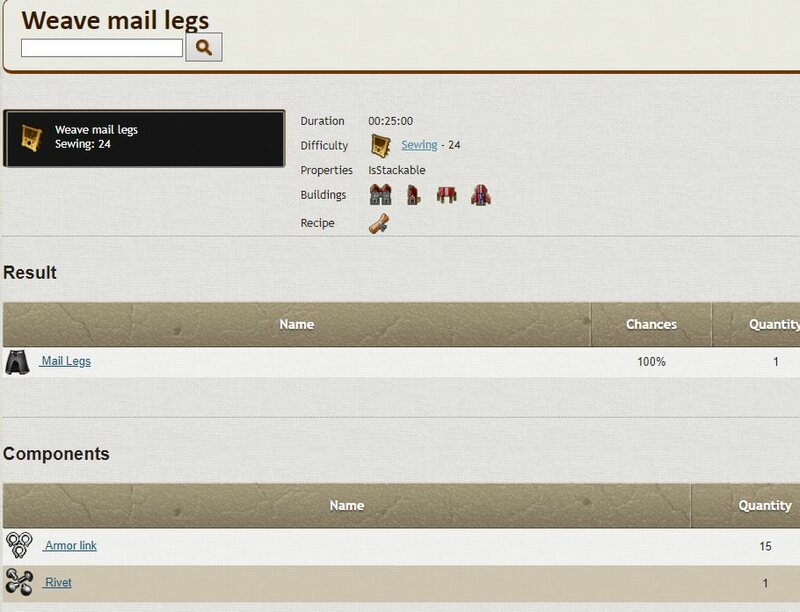 And if you clic on an item, you have more informations (weave mail legs). Then clic on the scroll (recipe) and it will tells you where the recipe is sold (you can' buy some recipes). 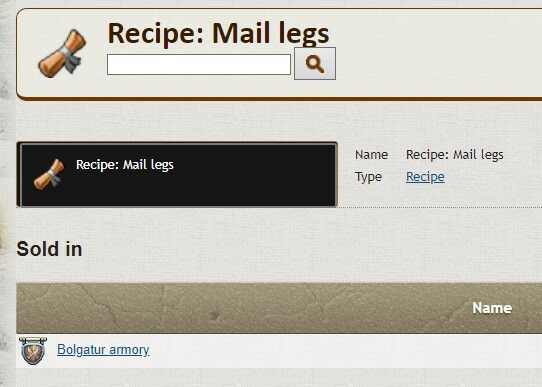 To make "mail armor" you'll need armor link (foundry, recipe in Bolgatur).